​I was trained as a pianist at Trinity College of Music in London under the exceptional pianist and teacher Christine Croshaw, whose private guidance I has followed ever since. In parallel to my concert work, I have taken a great interest in the psychology of learning and performance via NLP, Mindfulness and EFT to name just a few! 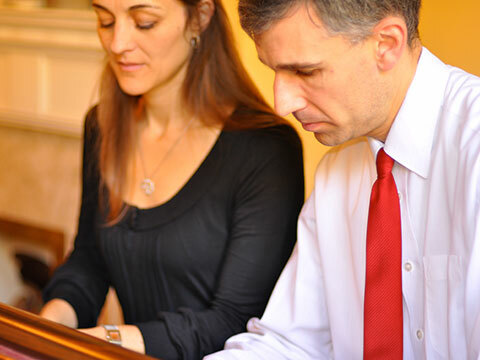 This hands on research, alongside my own performing experiences have enabled me to become a highly respected piano teacher, as well as a performance coach for musicians and creatives. I am always delighted to give private and public concerts. Early bookings are very much appreciated. All piano lessons and coaching sessions take place from my home music studio in Greenbank, Bristol. A huge thank you to those who supported my last concert at Southmead Hospital and well done to my students and all those who participated. We helped raise an awesome £13,350 for the Prostate Cancer Care Appeal, towards purchasing 2 surgical robots for the urology team. ​Contact me if you want more details or to join my mailing list!